Darkness is closing in, explore the serene environment in search of an answer, in search of a way out. You have a wonderful game here. The atmosphere in the games was amazing. It made me wanna explore the whole place even if it was very very small. Who knew if you had any secrets laying around. The gameplay was great. Very mysterious. Never knowing what those dark things/creatures walking or flying around really is. Loved it! Adding that you collect moonlight. Nice idea. The only thing I was missing in the game was music. But everything else in the game made up for it. 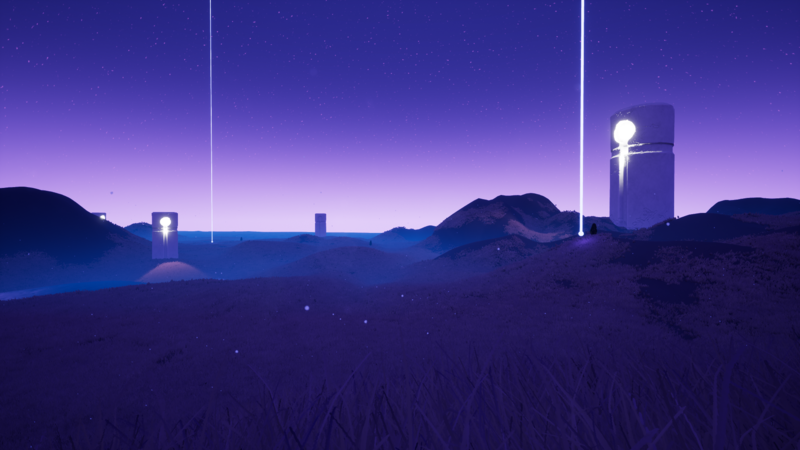 The game is aesthetically nice and calming except when you are being chased by black things. I had no idea what was going on. Really great work with the atmosphere - the visuals are very stylish and the insect (cricket?) 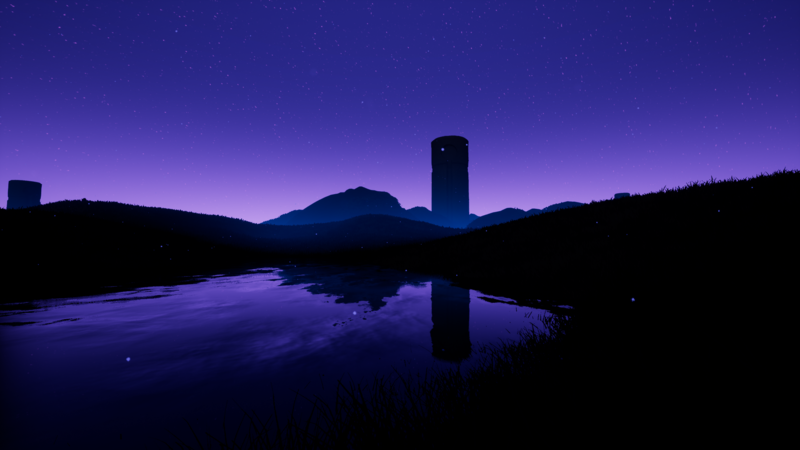 sounds in the background make it really feel like night time. When I first saw an enemy character, the blob of darkness, it was honestly a bit scary, the way it just silently goes after you. If there's something the player can do wrong it's going to the water, it seemed like you can easily get stuck there and so be swallowed by the darkness. I'd like to invite this game to our Game Development World Championship! Alright, thank you very much for your interest! 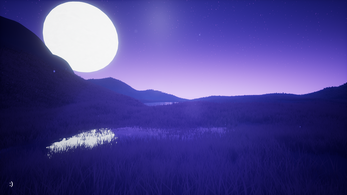 Moonlight is a unique environment with some relaxing ambiance and little to no disturbance from the darkness. 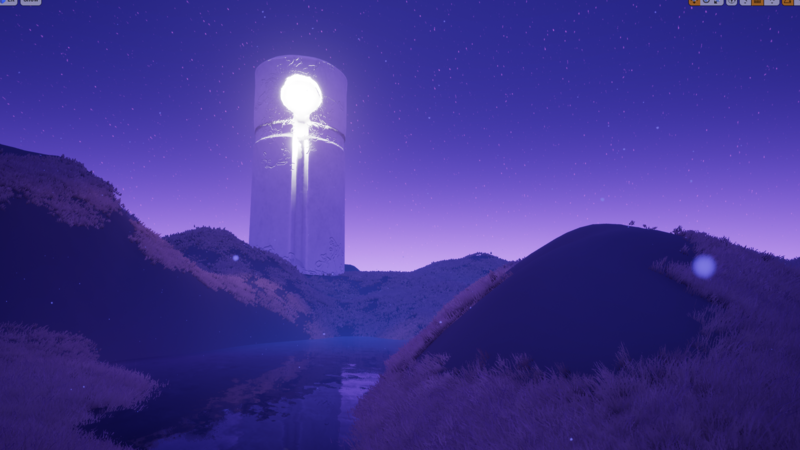 The setting is a lot to take in at first, all the orbs and towers flooding the purple fields with light, whereas the luminescent Moon looms overhead. Although there are enemies, you barely notice them because of the overall feel of this game. I wouldn't change a thing about this, especially from a prototype point of view. I cannot say very much about it thus far, but I can only hope you will continue to develop this. If you have larger things in the works for this as a level, I will be gladly awaiting its release. Wonderful work!